The Gladiators were a popular Jamaican roots reggae band during the 1970s and 1980s. In 2005 the Gladiators released Fathers and Sons which has been regarded as Albert Griffiths farewell, presumably replacing himself with his sons Alan and Anthony in the future. 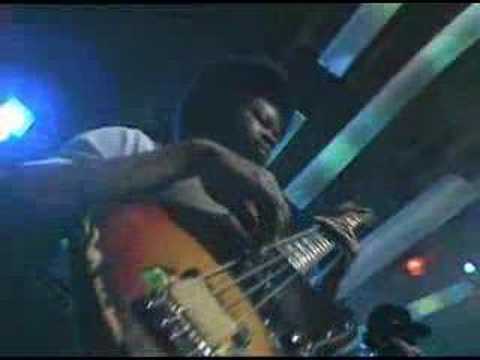 The Roots Radics Band was formed in 1978 by bass player Errol “Flabba” Holt and guitarist Eric “Bingy Bunny” Lamont. They were joined by a great many musicians. As a combined force the Roots Radics became a well respected studio and stage band, which dominated the sound in the first half of the 1980s. They supported artists like Bunny Wailer, Gregory Isaacs and Israel Vibration and have released several albums to their name as well. The Wailing Souls are a Jamaican reggae vocal group still recording and performing live, whose origins date back to the 1960s. They have their own official website that fans can check out. Israel Vibration is a reggae harmony trio, originating from Kingston, Jamaica. Lascelle “Wiss” Bulgin, Albert “Apple Gabriel” Craig, and Cecil “Skeleton” Spence all overcame adversity in the form of childhood polio and went on to be one of the most successful roots groups to form in Jamaica in the late 1970s. The trio initially met at a rehabilitation center. You are currently browsing the Jamaican Music weblog archives for November, 2008.